Fermentation is an ancient way of preserving food with modern appeal in today’s food culture, for its taste and health benefits. Local farmers, Carol Carver and George Exum of Island’s End Farm on Puget Island, Washington, ferment many of the vegetables they grow. They will share their fermenting knowledge and advice on how you can do it, on Thursday April 10, at the Astoria Co-op’s monthly food and wellness lecture series “Beers to Your Health” at the Fort George Lovell Showroom, 14th and Duane St. in Astoria. 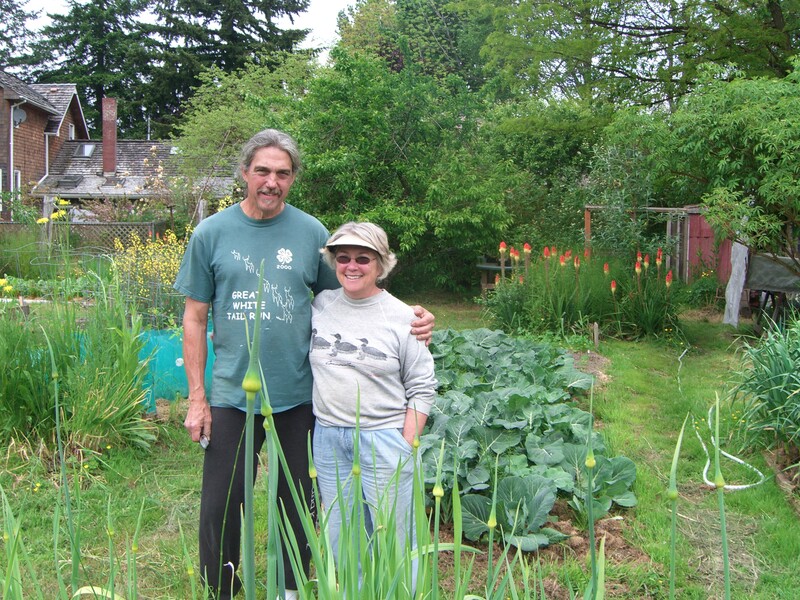 Carol and George have been growing food for their family for about 35 years. Seven years ago they started farming commercially. They use organic practices and grow a variety of fruit and vegetables. They sell their produce, jams, pesto, and fermented products—different types of sauerkraut and kimchi—at the Cannon Beach farmer’s market, River People Farmers Market in Astoria, Puget Island Farmers Market on Puget Island, and the Astoria Co-op. During a tour of a biodynamic winery in California, the owner sparked their interest in fermented foods while at the same being interested in learning from George how he made wine from root crops like bulb fennel. They read books by Sandor Katz, the “guru of fermentation” and experimented with fermenting food until they felt comfortable selling it. Fermenting preserves the quality and vitamins of food, and there’s added health benefits. “Fermented products that have not been subjected to heat have good bacteria for your gut and that’s what people are calling probiotics. So when you eat fermented vegetables you get all the nutritional value of the vegetables plus the probiotics that will help with digestion, and there’s strong evidence that it helps with reducing inflammation and increasing immunity,” Carver said. Fermented foods, including sauerkraut and kimchi, can be eaten in a variety of ways. “We use them with sandwiches, eggs, frequently sausage and sauerkraut, and we know people who just eat it out of the jar, but most use it as a side dish. It goes well with a lot of things,” Exum said. At the lecture, the Carvers will explain the fermenting process of both food and wine, bringing along some of their fermenting crocks for people to see. They will offer samples, and have their products for sale. The Astoria Co-op produces these lectures to educate and increase awareness about healthy food. The Fort George Brewery provides the space as a service to the community. Beers to Your Health is free and open to people of all ages. Doors open at 6 p.m. Food and drinks are available for purchase. The presentation begins at 7 p.m. and last about an hour.